Rodney Atkins - Plant City FL. “Let me just say for the sake of conversation If there's such a thing as reincarnation / But don’t you go cryin' for me when I’m gone / 'Cause I’m gonna come back as a country song / Gonna Come Back As A Country Song"
Not even a bug in his margarita can stop Georgia’s favoured son from making dependable music. 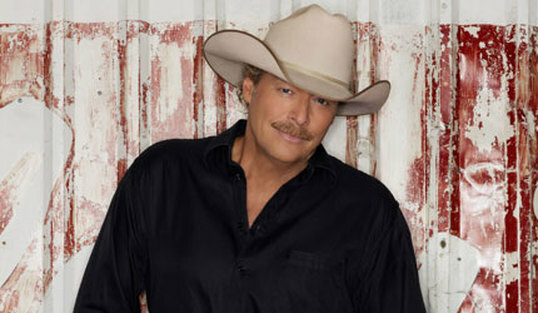 Alan Jackson, the flaxen-haired hit-maker with over 18 albums and countless high-end awards to his credit, continues the output with a Billboard #1 album, 30 Miles West. Just like an old pair of boots, scuffed, worn and ever so easy, Jackson strides tall with an album that delivers more of what we like. Generous with 13 tracks, the listing skirts heartache, home, love lost and found, all with a keen sense of tradition. Add to the mix the production skills of long-term friend Keith Stegall, and the album is a joyous listen with its even blending of steel and fiddle. Jackson, a noted hit maker, having penned such classics as “Here In The Real World," “Wanted," “It’s Time You Learned About Good-Bye," “Good Time” and a host of others, delivers again with six self-penned tunes. The remaining gems come inked by noted tunesmiths like Guy Clark, Terry McBride and Adam Wright. Much can be said about the album, however countless words can be saved here – this to my ears is one of the best albums Jackson has put out. Straight out I give it two thumbs high. Jackson weaves his way through the album with a voice, friendly and familiar, pure country gold. Add to that, the tunes are memorable –the breakout single of sand and song “Long Way To Go” and the current chart sobber “So You Don’t Have To Love Me Anymore” are proof enough. The album, out now, is an easy and rewarding listen. The tunes, the emotions, the playing, the voice all make for money well spent. While every cut on Thirty Miles makes for a keeper, there are some standouts. The prophetic “Gonna Come Back As A Country Song," telling of a haunting neon presence on mortal departure, is a musical fact with a toe-tappin’ back beat. “You Go your Way”, and “Look Her In The Eye And Lie” have chart hit stamped on them; while the fiddle-drenched “Dixie Highway," which reconnects the Jackson/Zac Brown partnership (“As She’s Walkin’ Away”) is a geographical lifeline and a worthy add to a stellar release. Even if you have to travel, 30 Miles West is a short detour to one of this year’s best albums.